Kit & Ace, a Canadian apparel brand started in 2014, is best known for its innovative line of technical cashmere clothing inspired by the form and functionality of athletic wear. Now with over 60 locations throughout Canada and the U.S., Kit & Ace is a leading pioneer of technical design in the fashion industry. In 2015, the growing company decided to upgrade their storefronts with some captivating curb appeal to match the cool and comfortable new clothing line. 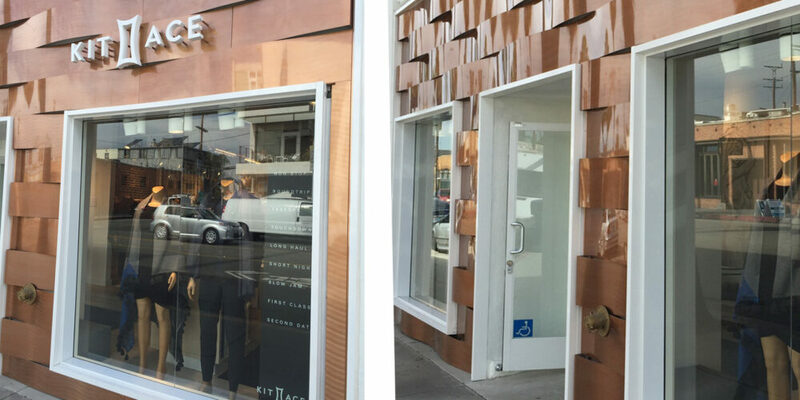 Móz collaborated with designers at Gensler to manufacture exterior wall panels in shimmering copper for the Kit & Ace Venice Beach location. The aluminum metal waves were fashionable yet durable to match the company’s aesthetic philosophy. 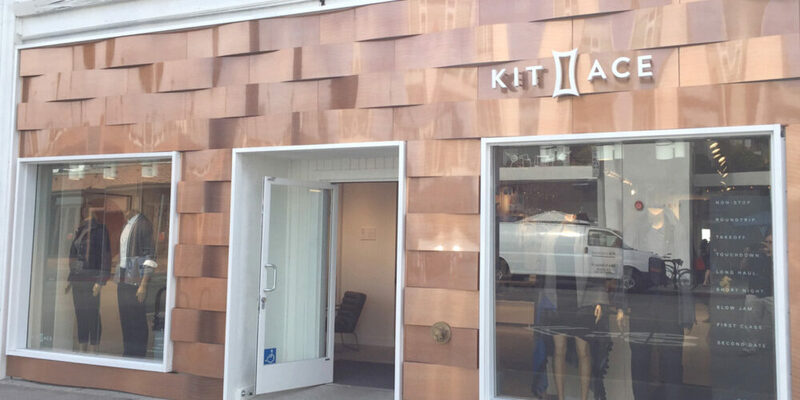 Móz worked on a similar storefront for the Kit & Ace Walnut Creek location, which featured an exterior wall panel in a linear copper application. In their own words about the project, Kit & Ace proclaim: You never have to sacrifice functionality for style.